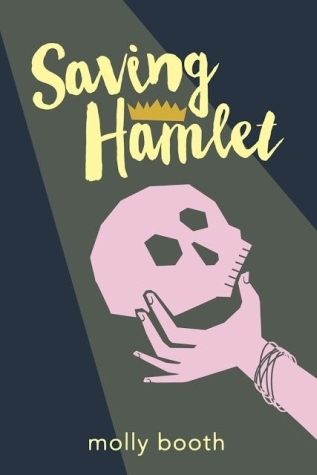 Welcome to my stop along the blog tour for debut author Molly Booth’s Saving Hamlet, hosted by The Irish Banana Review! I’m so excited to have Molly here today! She’s here to talk about her discovery of Shakespeare, and how hard she fell for him! After her post, read more about the book, Molly, and enter to win a copy of Saving Hamlet! Tell us about your love of Shakespeare and what it was like discovering him. I didn’t fall in love with Shakespeare until college, but when I did, I fell hard. Right through the stage, down to the basement. I had a long commute to the campus, so I did a lot of homework on the train or on the bus. One afternoon, on the blue line train, I’d cracked open my well-worn, used copy of the play, and braced myself to not understand a word. Those first lines hooked me, and I fell into the play. My mind swirled with the beautiful text, the supernatural (ghost dad) plot, and the connection I felt to the main character. I was in the middle of applying to transfer schools, and a little depressed, so Hamlet’s identity struggle really pulled me in. I’d never encountered anything that described being a human better or more eloquently. I was so into Hamlet that I almost missed my transfer to the orange line. And I’ve been obsessed ever since! I went on to Marlboro College, where I studied Shakespeare and Elizabeth history, and along with my creative writing courses, this passion evolved into writing Shakespeare-oriented YA novels. Like Saving Hamlet, which is a historical time travel Shakespeare YA, and Nothing Happened, my spring 2018 book, which is a YA retelling of Much Ado About Nothing. I’m also about to start graduate school in Boston to continue my Shakespeare nerdiness in academia. And this school year, I’m directing a Shakespeare play with a student theatre company in Massachusetts, All the World’s a Stage Players. We’re doing TWELFTH NIGHT, and it’s the most fun I’ve ever had!! A stormy shipwreck, mistaken identities, a prank with yellow socks — I’m thrilled to be directing it, especially with such a wonderful group of young actors. So yeah, once I discovered Shakespeare, there was no turning back for me. I turn to Shakespeare for advice, for comfort, for direction, and for creativity. In a recent interview, author Patrick Rothfuss said: “When you’re a geek for something, it means you love it beyond all sense.” I am a total Shakespeare geek. I don’t exactly know why, but my life revolves around these texts and this history, and I couldn’t be happier about it. Emma Allen couldn’t be more excited to start her sophomore year. Not only is she the assistant stage manager for the drama club’s production of Hamlet, but her crush Brandon is directing, and she’s rocking a new haircut that’s sure to get his attention. But soon after school starts, everything goes haywire. Emma’s promoted to stage manager with zero experience, her best friend Lulu stops talking to her, and Josh–the adorable soccer boy who’s cast as the lead–turns out to be a disaster. It’s up to Emma to fix it all, but she has no clue where to start. She’s represented by Alex Slater at Trident Media Group, and edited by Kieran Viola at Disney Hyperion. 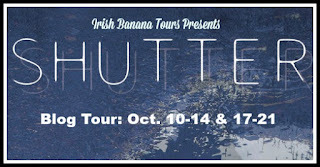 Welcome to my stop along the Shutter blog tour, hosted by the Irish Banana Review! Doesn’t the book synopsis sound awesome? I was totally on board as soon as I read about it, as I love reading mystery-type books in October. Shutter takes place during the exact same time of year as I read it, which I thought was a lot of fun. It got me so excited for fall and colder weather. I love this time of year, and the author did a great job of really capturing the season. I liked Day a lot. Her obsession with photography was unique and fun to read about. I saw a lot of myself in her. I’ve always had an artistic outlet in my life, so I understood her passion and desire to always keep it close to her heart. I also understood her desire to help Julian. I would have wanted to do the same thing, especially since Julian is such a nice guy. I actually found him to be more interesting to read about, though. The chapters alternate between Day’s narration and Julian’s journal entries, and I liked getting more insight into Julian’s past and how he got to where he was even though some of it was very heartbreaking. He had a horrible family life as a child, and I really felt for him. The story itself was very interesting, but not as mystery/thrillery as I expected it to be. I wasn’t biting my nails or wishing I could sleep with the lights on. It was a slower, more controlled mystery. 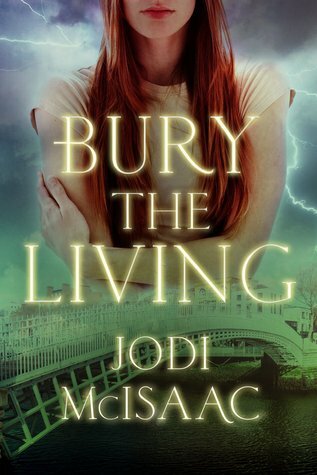 Day goes on a hunt for the truth while hiding Julian in her barn in the backyard. It enjoyed reading his story and what other people had to say about him. His story never quite added up, so I wasn’t really sure I could trust him… and I wanted to slap Day for being SO trusting. He’s a wanted murder suspect! I could have done without the romance… I liked the story more before that happened, but it did add a complicated layer to things and that’s always entertaining. I was definitely eager to get to the end to see how everything turned out. If you’re in the mood for a whodunit with a Nancy Drew-type detective, some heavier subject matter and a good dose of autumn, give this book a try! Stolarz found sales success with her first novel, Blue is for Nightmares, and followed it up with three more titles in the series, White is for Magic, Silver is for Secrets, and Red is for Remembrance, as well as a companion graphic novel, Black is for Beginnings. Stolarz is also the author of the Touch series (Deadly Little Secret, Deadly Little Lies, Deadly Little Games, Deadly Little Voices, and Deadly Little Lessons), as well as Bleed and Project 17. With more than two million books sold worldwide, Stolarz’s titles have been named on various awards list. Woohoo! Today I get to spotlight the lovely Becky Wallace, who will be joining us at Apollycon in Orlando next year! Becky was one of my 2015 debut authors, and I got to spotlight her last March on the Debut Dish. I love it when Becky takes up my blog space because she is so much fun. I haven’t read either of her books yet, but I own them and am super excited because HELLO. They sound amazing, right? 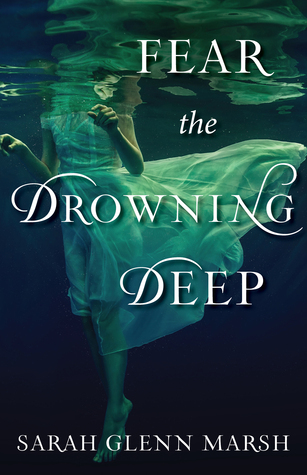 This issue of The Debut Dish features Sarah Glenn Marsh (Fear the Drowning Deep) and Caleb Roehrig (Last Seen Leaving). Sisters, sea monsters, and kissing! It’s tough to choose just one! So I’ll say: all the scenes involving Morag, the town’s supposed witch. And the scene where Bridey first discovers Fynn, the injured lad with no memories. I was at FaerieCon–a fantasy art, book, and music convention in Baltimore MD! Being surrounded by costumed fairies felt like a perfect setting for such magical news! Doughnuts! But also ice cream. And cheesecake. And chocolate chip cookies. …If it’s sweet, I like it! I work in my living room, but the oddest thing in here is probably my set of bird statues. They’re realistic sculpted birds, but they’re wearing ridiculous hats–one’s got star-shaped antennae, and another has a hat like a train conductor. They’re so cute! What happened to January McConville? About three-quarters of the way into the book, as Flynn (the main character) is trying to figure out what happened to January (his missing girlfriend,) he speaks to some of her classmates. These classmates don’t like January, and in having them explain why, I actually learned things I didn’t know about one of my own characters–how she behaved towards certain people, and why, and how that affected others’ perceptions of her. It added a new layer of depth to her and to the book, one I hadn’t been expecting, and it was an incredibly rewarding experience for me. Finland! 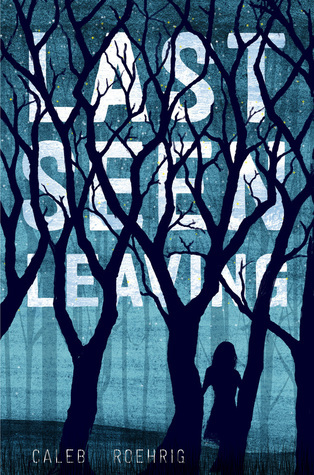 I was actually living in Helsinki when I wrote LAST SEEN LEAVING, and since I didn’t have an international calling plan, I got the news from my agent via email. It was February and freezing cold out, but my husband and I still walked a mile through the snow to go buy champagne. Chocolate-covered peanuts all the way. I am addicted. Oddly, I despise peanut M&Ms? But I LIVE for chocolate-covered peanuts. I don’t have a desk, per se, but the oddest thing sitting on my work space at the moment is probably this giant Ziploc bag filled with decorative glass pellets. I have no idea why they are here, to be honest. Today I’m spotlighting a pretty awesome sounding book with time travel and history and Ireland and a magical artifact! Read about it and enter to win a copy! When she is given a relic belonging to Brigid of Kildare, patron saint of Ireland, the mystical artifact transports her back eighty years—to the height of Ireland’s brutal civil war. Here she meets the alluring stranger from her dreams, who has his own secrets—and agenda. Taken out of her own time, Nora has the chance to alter the fortunes of Ireland and maybe even save the ones she loves. In this captivating and adventurous novel from Jodi McIsaac, history belongs to those with the courage to change it. 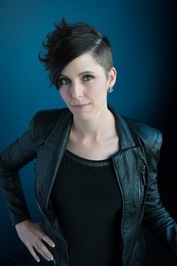 Already an accomplished writer, Jodi McIsaac is the author of several novels, including A Cure for Madness and the Thin Veil Series. She grew up in New Brunswick, and after abandoning her Olympic speed skating dream, she wrote speeches for a politician, earned a graduate degree in global studies, spent a few years as a fundraising and marketing executive with non-profit organizations in Toronto and Vancouver, which then morphed into her own copywriting business. I love October! I love cooler weather, sweaters, comfy socks, throw blankets, pumpkin bread, changing leaves, and hot chocolate. Fall is when I start reading more, and I love reading under the covers on chilly nights. What do you love about fall? More important, what are you doing for Halloween? I can’t believe how quickly this year is flying by!